UM’s Center for Mathematics and Science Education VISTA Iesha Richardson collaborated with fellow VISTA members serving the L-O-U Excel by 5 coalition and Horizons summer program to provide children’s activities during this year’s Dr. Martin Luther King, Jr. Day of Service. 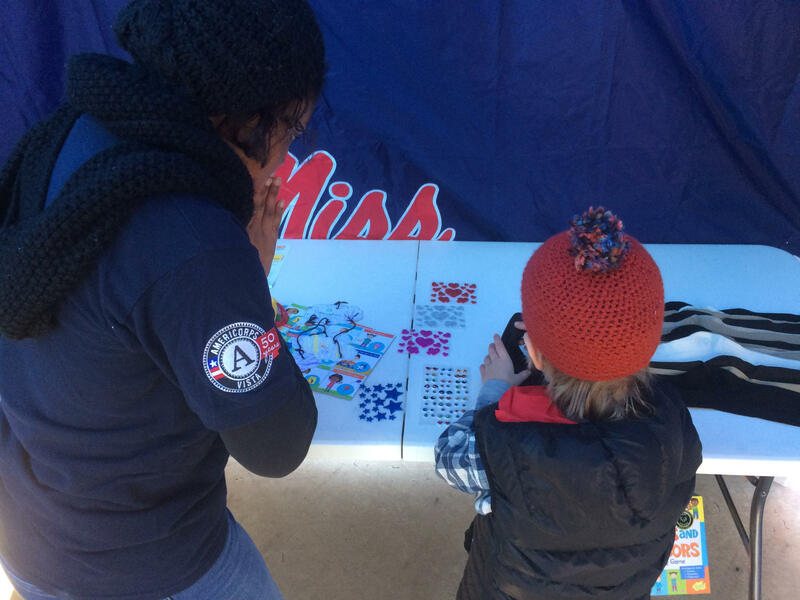 Apply to serve with the North Mississippi VISTA Project! The North Mississippi VISTA Project at the University of Mississippi seeks dynamic individuals to serve as Volunteers in Service to America (VISTAs). Each full-time, one-year placement is supported by AmeriCorps with a modest living allowance, health benefits, and an education award. VISTAs serve throughout North Mississippi to build sustainable systems for fighting poverty through education. Available VISTA positions are listed below. If you have questions or want to apply, please contact Laura Martin: lemartin@olemiss.edu or (662) 915‐2078, or the VISTA Leader Office: vista@olemiss.edu or (662) 915-2397. The North Mississippi VISTA Project is currently recruiting for Summer Associate and yearlong VISTA positions! Summer Associate positions provide direct service and capacity building to departments across the UM campus, nonprofit organizations, and Title I school districts in North Mississippi throughout June and July 2018. A basic living stipend and other benefits are provided to each Summer Associate. To apply, please send your resume and a cover letter including your motivational statement to vista@olemiss.edu. Yearlong VISTA positions provide indirect service and capacity building to multiple organizations in an effort to alleviate poverty throughout North Mississippi. We are recruiting yearlong VISTA members to begin their service in August 2018. Click HERE to apply for a yearlong VISTA Position. The North Mississippi VISTA Project is also recruiting a VISTA Leader! The VISTA Leader will work with the North Mississippi VISTA Project coordinator and VISTA Leader to support all members and on-going programs of the project. **A completed term of service as a VISTA member is preferred. ** Click HERE to apply for a yearlong VISTA Leader position.